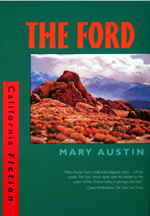 Mary Austin's 1917 novel illuminates one of the crucial issues in California history—the usurpation of water from the Owens Valley. Ranging from the eastern Sierra to the financial district in San Francisco, the plot portrays the frenzied speculation in land and resources, labor protests, and feminist organizing of the time, exemplified in the successful efforts of an independent young woman to buy back her family's Owens Valley ranch. Mary Austin (1868-1934) came to California in 1887 to homestead with her family in Kern County, in the Great Central Valley. She is the author of many novels, essays, and story collections. John Walton, the author of Western Times and Water Wars (California 1992), is Professor of Sociology at the University of California, Davis.